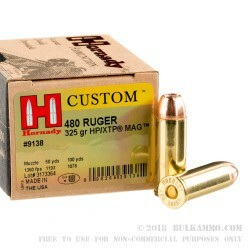 A great load with a big diameter and heavy weight projectile with a milder recoil than you might expect, the .480 Ruger isn’t quite the hammering load that the .500 S&W is, and it’s a lot easier to handle than the .500 S&W - a lot like the .44 Magnum in recoil and handling. The larger grain weight and bore diameter combined with pressures that are lower than .454 Casull means you get a reasonable handling firearm (especially with the heavy Ruger Redhawk it was initially chambered in). You also get excellent ballistics and stopping power for handgun hunting, target fun, or stopping power in a home defense situation. Admittedly, the 480 Ruger has seen a bit of obscurity since the later release of the .500 S&W, and the headline grabbing .475 Linebaugh and others, including the .45-70 Govt in revolvers. 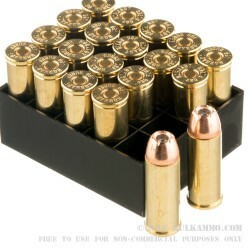 But that doesn’t take anything away from the benefits of the caliber or this particular load. This is the Hornady XTP line Custom loads. 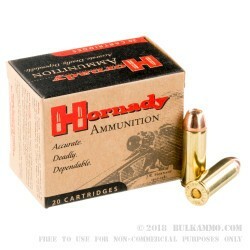 And while it isn’t custom in the sense that it is 100% handloaded, it is Custom tailored to the specific preference that Hornady loaded to, and it is essentially the “most handmade” round in any legitimate commercial production ammunition portfolio. 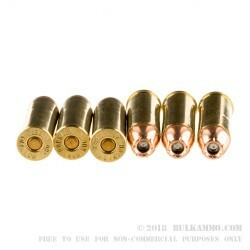 This 480 Ruger ammo delivers about 1350 feet per second velocity and 1315 ft. lbs. of energy.